FIREFIGHTERS in Glasgow have been training using the most realistic environment possible - a real flat in the city centre. 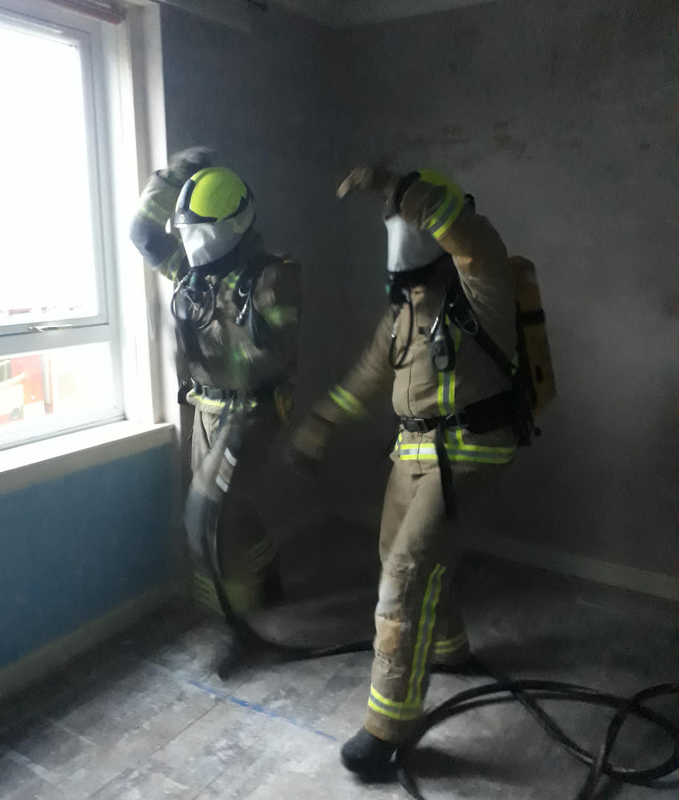 Working with partners in ng homes, Scottish Fire and Rescue Service crews from Springburn carried out Breathing Apparatus exercises in the empty property last week. 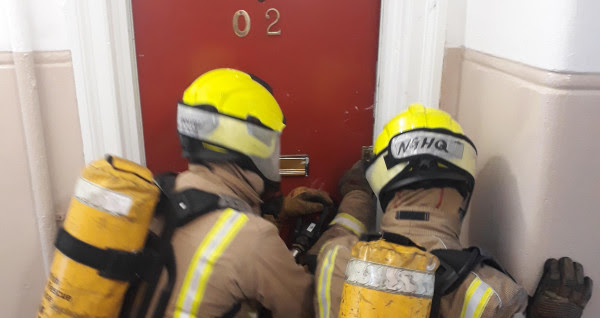 The unoccupied two bedroom flat was made available to the crews - allowing them to train to quickly and safely search smoke logged flats in zero visibility conditions. The essential training will help prepare SFRS staff in the event of an actual fire and involved BA teams from across watches being put through a variety of different search and rescue scenarios.  Area Manager Jim Hymas is the local senior officer for the City of Glasgow. He said: “Feedback from all those involved has been very positive and it was agreed this was a valuable resource in maintaining and developing firefighting skills. ng homes said it was delighted to facilitate the training and help support the development of Glasgow’s firefighters. The association is committed to supporting fire safety and building a closer relationship with key community organisations. John Thorburn, chairman of ng homes, added: “We were delighted to provide the setting for this essential firefighting training for SFRS.